I am a faculty member in the School of Electronic Engineering & Computer Science at Queen Mary University of London, as well as a lecturer in Microwave & Millimetrewave Antennas, and a member of the Antennas & Electromagnetics Research Group (AEG). Within the School I am head of the Senior Tutor team and the undergraduate Senior Tutor. My BSc (2003) and PhD (2008), both in Electrical Engineering, and my MA (2008) in Mathematics, were all obtained at the Pennsylvania State University. My research there was carried out in Prof. Mike Lanagan's Microwave Lab, in the Materials Research Laboratory. I was co-supervised by Prof. Raj Mittra. I was involved in a number of projects, including materials characterisation, LTCC-based device design, computational electromagnetics, as well as investigation into the new (at the time) field of metamaterials. From 2008 to 2012 I was a postdoc at QMUL on the TSB-funded project AMULET (Advanced Materials for Ubiquitous Leading-edge Electromagnetic Technologies). On the completion of the project, I took up a lecturing post, which I continue to hold. My more recent projects include metamaterials, transformation electromagnetics, active and reconfigurable structures, and terahertz sensing of surface plasmon polaritons. Projects funders have included Selex ES, Cobham plc, Servomex, and Innovate UK. For more details of my current research activities, go to The Rajab Group page. In addition to my academic duties, I am also on the Board of Directors of the New English School (Kuwait) and the Tareq Rajab Museum (Kuwait). The Tareq Rajab Museum’s metalwork collection includes over two and a half thousand objects. Among them there are several incense burners, representing different types from different periods and regions of the Islamic world. Thurification and perfuming of the body played an important role in the history of the human race. For these functions several types of sprinklers and incense burners were invented, developed and introduced. It was and is still customary to use these at special occasions in order to sprinkle the guests with rose water upon arriving and to waive some incense at them when they depart. 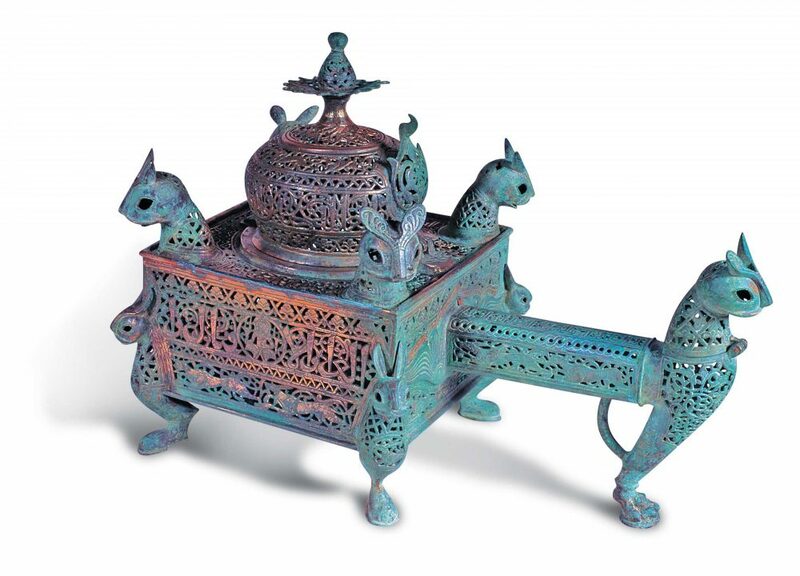 From the surviving examples of Islamic incense burners that have survived and which are preserved in various museums and private collections, we can divide them into two major types. The western types, which owe their origin to Coptic and Byzantine examples, and the oriental type which were made under strong Indian, but particularly of Buddhist influence. Below is a gallery of images for you to explore. The collection can be found in the Tareq Rajab Museum.